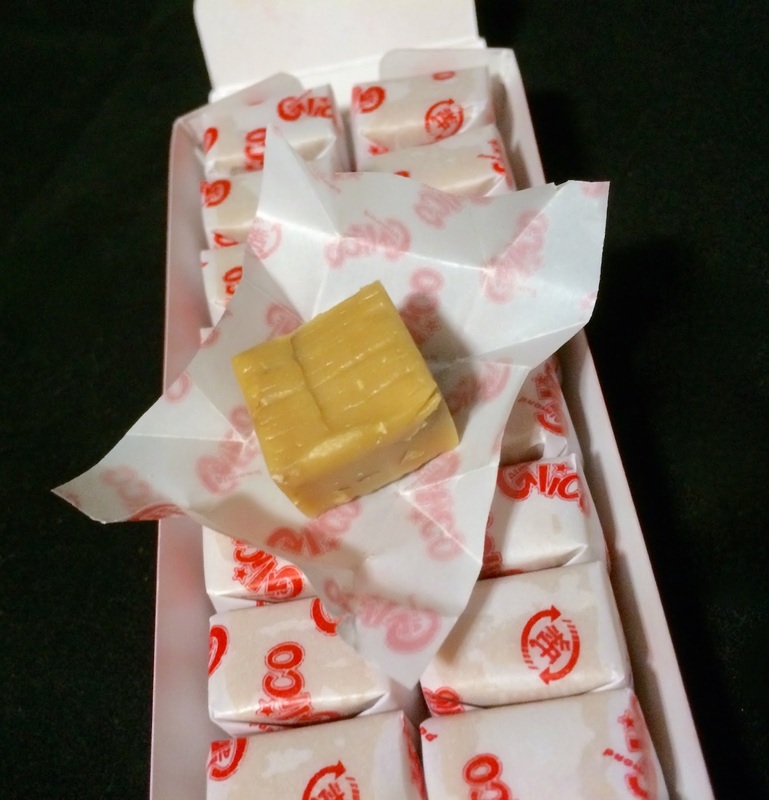 They don't look all that appealing --waxy beige cubes indented by the wax wrapper -- but here, looks are deceiving. 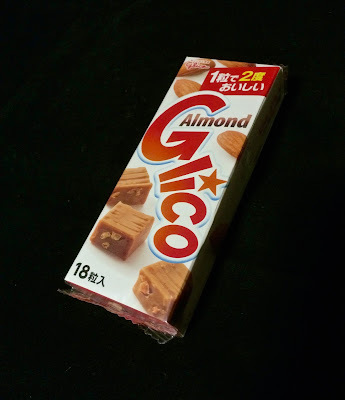 These Glico Almond from Japan are tasty caramel chews, with a nice creamy caramel flavor and a good smattering of crushed almonds. 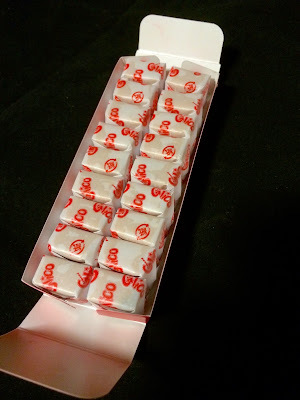 It's a tough chew at first, that dissolves pleasantly as it warms in the mouth. 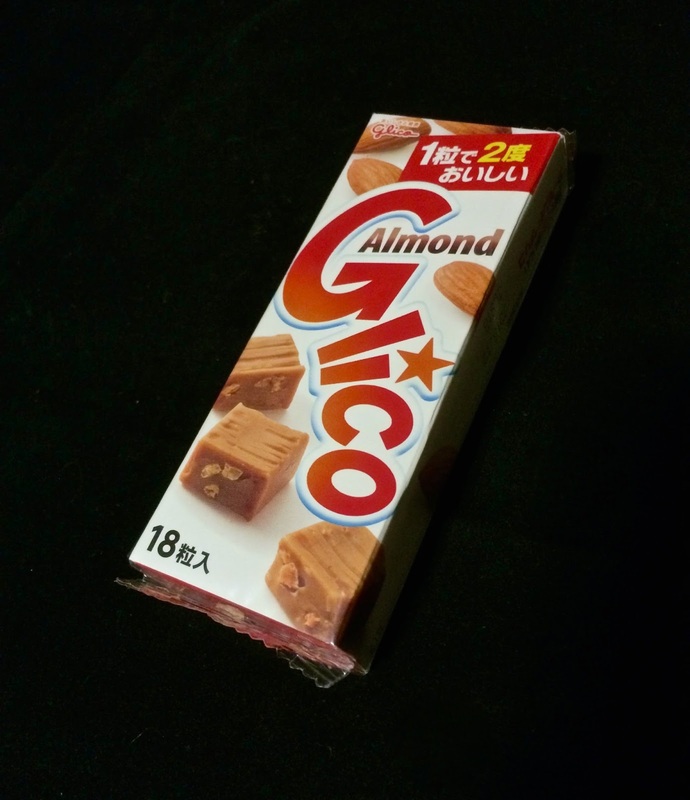 Glico Almond are reminiscent of Mary Janes, but a bit lighter and creamier.